Wintery weather obliterated most of the British racing calendar, however, the Midlands road relays and English Schools cross country survived to tell the tale. 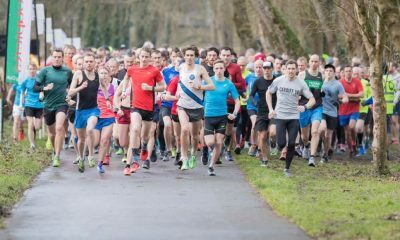 The unwelcome return of the bitterly cold winds and heavy snowfall led to the cancellation of the majority of the UK’s major road races this weekend, including the Eastleigh 10k, the Reading Half Marathon and the Lincoln 10k, as well as the Southern Road Relays at Milton Keynes. Even Devon and Cornwall’s Tavy 13 and the Run Falmouth half marathon fell victim to the icy conditions, and a quick glance at UKA’s Power of 10 results pages shows more cancelled or postponed events than completed races. 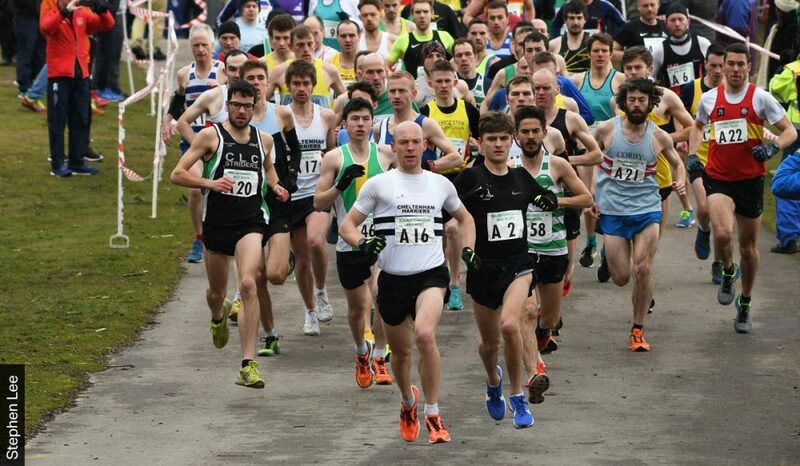 While Sunday’s South of England road relays were postponed, the Midlands 6 stage women’s and 12 stage men’s road relays went ahead on Saturday. Out in force at Birmingham’s Sutton Park to contest the highly competitive relays and battling against the strong, biting winds, Birchfield’s women and Bristol & West’s men were the victorious teams. Birchfield’s women clinching the title ahead of Bristol & West and Cheltenham, while the top two positions were reversed in the men’s event, with Bristol & West taking the win by a narrow margin ahead of Birchfield, with Cheltenham claiming their second senior team bronze of the day. The women took on four legs measured at 3.16 miles and two longer leg of 5.38 miles, while the men contested eight short and four long legs. Birchfield’s winning team dealt with the mixture of long and short legs the best, with their team made up of Tamara Armoush (30:37), Bryony Gunn (18:06), Danielle Hodgkinson (30:23, the quickest long leg of the day), Katie Allen 18:40, Fian Sweeney (18:55), and Sara Treacy (17:46). Irish Olympian Treacy’s time was good enough for the fastest short leg award. Bristol & West’s dominant dozen included Jack Bancroft (28:11), Harry Allen (27:27), Andy Watt (28:50), Stephen Mitchell (26:51), Jarlath Mckenna (15:56), Kurt Taylor (16:30), William Christofi (15:55, the fastest short leg of the day), Josh Moody (16:10), Harry Lane (16:25), Ben Robinson (17:20), Jack Millar (16:08) and Luke Evans (16:22). Birchfield’s Will Richardson recorded the fastest long leg time of 26:41. Luckily the biggest cross country championships of the season for the most talented younger athletes – at Leeds’ Temple Newsam Park – went ahead on Saturday (March 17). It was clear from the refreshingly determined statement issued ahead of the races by the English Schools Athletics Association that it would be business as usual for the hardy organisers and competitors. Kent’s Holly Page dealt with the driving snow and bitterly cold wind the best when clinching victory in the senior girls’ race, rounding off a successful cross country season for the Dartford athlete. A top 10 result at the Inter-Counties together with a sixth-place finish at the National cross country and a 5th at the Southern cross championships ensured the talented steeplechaser – who won silver at last year’s English Schools 1500SC race – can look back on her season with pride. Cheshire’s Matt Willis made it three out of three wins in every age group he’s contested at these prestigious championships, adding senior boys’ victory to his intermediate and junior titles from earlier competitions. 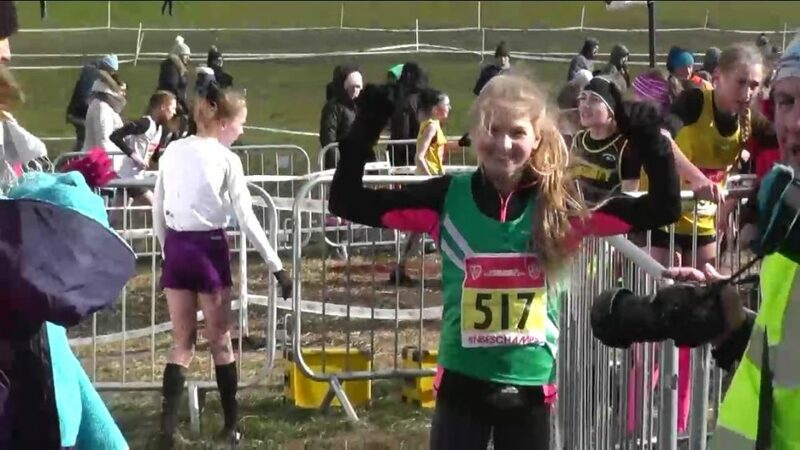 Liverpool Harriers’ Ella McNiven has enjoyed a glittering cross country season, with her victory in the intermediate girls’ race for Merseyside adding to her National and Northern cross country championship titles earlier this year. 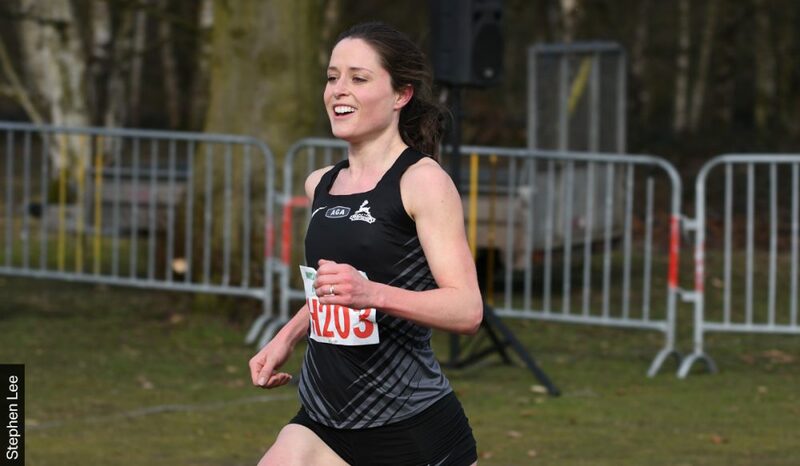 Her silver medal at the Seville cross international race in January certainly pointed towards her talents over the country, and a 5th place finish at the Inter-Counties proved she’s got a lot to offer regardless of the conditions. Aldershot, Farnham & District’s Woody Jerome took the junior boys’ race for Hampshire by a comfortable nine seconds following a 51st result in last weekend’s Inter-County championships. The youngster has raced prolifically this year, competing four times in January and again in February before making it count in the biggest cross country event of his career so far. 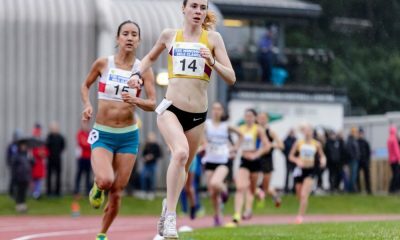 However, it was Wiltshire’s and City of Salisbury AC’s Bea Wood who stole the show when taking the junior girls’ crown just a week after having to pull out of the Inter-Counties. 2017’s English Schools’ 1500m bronze medallist is also the proud owner of the title of the all-time fastest U15 parkrun time, with her impressive 17:21 on her home city’s course last year marking her card as one to watch. The Dave Amey-coached young athlete’s success didn’t come as a surprise to anyone in the club, though, as she was unbeaten in the Hampshire cross country league this year, following that success with a bronze at the Southern cross country championships, despite feeling unwell. Debuting over the distance Adam Clarke was the clear winner at the Hastings Half Marathon with a 17-second win in 68:35. Clarke was followed by Tonbridge’s Charlie Joslin-Allen in 68:52, with Hasting AC’s Gary Foster third in 70:59. Tonbridge’s Maria Heslop won the women’s race by over two minutes in 81:28. Second was Hasting’s Stacey Clusker in 83:37 followed by clubmate Rachael Grass in 85:52. Over in America on Sunday, Chris Thompson ran his fastest half marathon since 2012 to finish third in the competitive NYC Half. Thompson clocked 62:43 in the race won by America Ben True in 62:39 on his debut over the distance. You can read about it here. 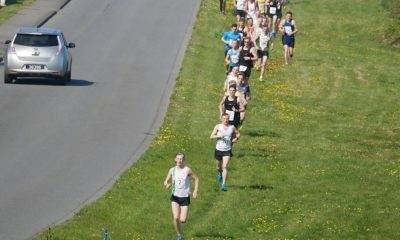 At the Parelloop 10k in Holland, Sam Stabler ran a road personal best 29:09 to finish fifth in the men’s race. 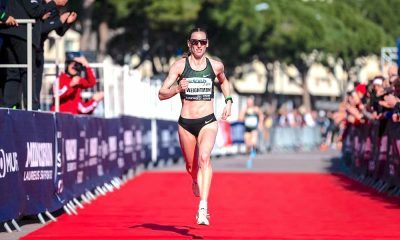 Stabler was three seconds off the winner, while in women’s race Ashley Gibson was seventh in 34:20. Emma Clayton was ninth in 35:08 and Rebecca Robinson 10th in 35:21. 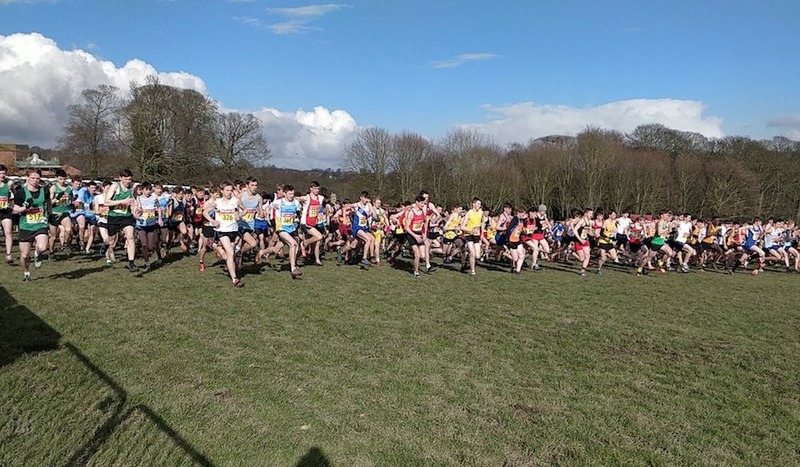 The Masters Open Cross Country championships were also contested at Forres in Scotland over the weekend, but the results were not available at the time of going to press.